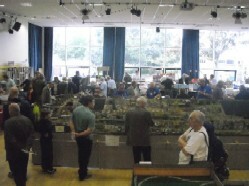 The club's N Gauge Section took their newest layout Bolland Road & Turton Green to the 2010 Romford MRS Exhibition. 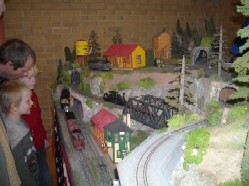 The club's North American Section took Fred Gillin's On30 layout Hermosa, Tacoma & Cascade Western Railroad to the 2010 Ipswich RMA Exhibition. A few early niggling problems, but on the whole the layout ran well, and was very well received. The second day of our 80th Anniversary Celebration. The first day of our special 80th Anniversary Celebration. A second special Steam/Open Day for The Engine Shed, a railway club set up specially for children with ASD. After a slow start and an early derailment, another good day with the usual mix of regular and new visitors. 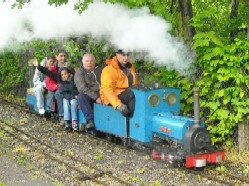 Both Excalibur, our steam loco, and the diesel electric were kept busy all day. Our thanks to all who have supported us this year, and we look forward to seeing you again in April 2011. 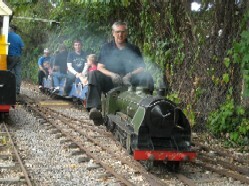 Another excellent day, at our latest Steam/Open on Sunday 01 August. Weather was good, locos ran well, layouts ran well, cakes were eaten, tea & coffee were drunk; all in all a successful day! 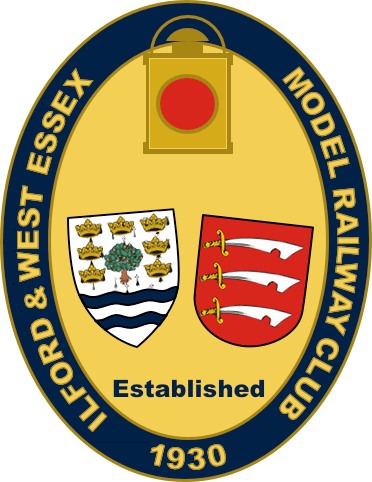 The club hosted a special Steam/Open Day for The Engine Shed, a railway club set up specially for children with ASD. 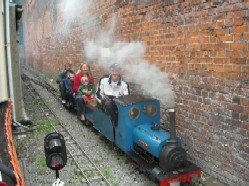 Our fourth Steam/Open Day of the 2010 season, on Sunday 04 July, was another hot one. Too hot! Nevertheless a successful day, with some new faces as well as the regular visitors. 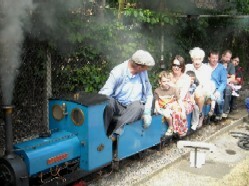 Poor old Thomas Junior was worked hard, as he is always a favourite with the children and much in demand, and at times we had three locomotives running simultaneously - Excalibur, Thomas and the Diesel Electric. We regret that we have had to cancel our third Steam Day of 2010, on Sunday 06 June, due to several key members being unavailable on that day. 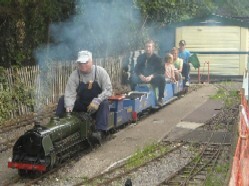 Apologies in advance for any inconvenience, and we look forward to seeing you at our next Steam Day on Sunday 04 July. 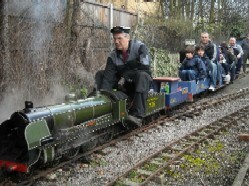 Our second Steam/Open Day of the 2010 season, on Sunday 02 May, unfortunately did not live up to the great start we had in April. This was largely down to the weather - torrential rain most of the day. A few hardy souls braved the elements (or gave in to pressure from the kids! ), but most stayed indoors. 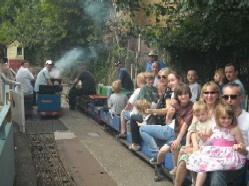 Our opening Steam/Open Day of the 2010 season was a very busy one, with full trains most of the day. 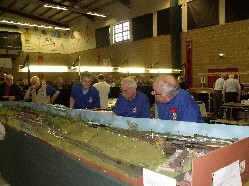 The weather mostly behaved itself, but there was also plenty of indoor entertainment with four of our club layouts running.